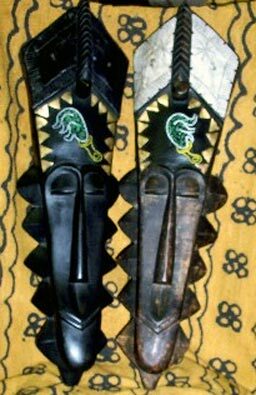 Hand carved Bakuta masks from Ghana. With engraved brass plates on the top of the crown. Crown also has hand beaded work in the center of the crown. (Approximately 21" Tall). Prefect for gifts and collectables.